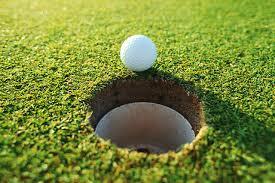 Golf instruction and lessons are available in French or English. Online registration is available at the bottom of this page. "My teaching philosophy is simple, start off with the right tools to do the job and you will be successful. You wouldn't build a house without the proper equipment and training would you? 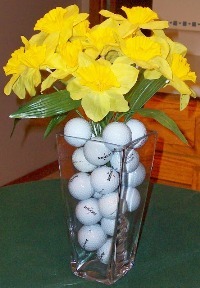 Golf is no different; make sure you have the proper tools and training at the beginning of each golf season." I encourage everyone to book a golf swing review lesson. Bring back those good habits at the beginning of your golf season. An hour session to evaluate your golf swing, review elements of a proper golf swing and adjust what is missing from those basic elements. This will ensure success throughout your summer of golf. Swing Tune-Up lessons are available for $65.00 (see below for online registration). It has been my experience over the years that golfers are most comfortable and prefer individual lessons. This season I am offering one hour sessions for $65.00 (see below for online registration). Golf lessons include a review of your golf swing, instruction on the elements of a golf swing and any adjustments needed to correct a missing element. Some clients prefer to concentrate on specific issues with their golf swing such as their drive, irons or short game. Each session is tailored to your game. Remember this is your Private Golf lesson! Back again for this season is my 'Par 3' golf package. The reason this package is popular with golfers is because it offers a complete review and instruction of your golf game. The 'Par 3' Package is priced at $175.00 (regular price of $195.00) online registration is available below. The 'Par 3' Junior Package is priced at $150.00 online registration is available below. Prior to registration, it is the responsibility of the client to obtain permission from the golf course for lessons with PrivateGolfPro.ca. Bring back those good habits at the beginning of your golf season. An hour session to evaluate your golf swing, review elements of a proper golf swing and adjust what is missing from those basic elements. This will ensure success throughout your summer of golf. Cost: $65.00 (one hour lesson). *Prior to registration, it is the responsibility of the client to obtain permission from the golf course for lessons with PrivateGolfPro.ca. The reason this package is popular with golfers is because it offers a complete review and instruction of your golf game. A junior lesson will introduce young golfers to the sport and will not only include instruction but also an introduction to the rules and etiquette of golf. The lesson offers an overview of golf for young players. Golf swing evaluation and element instruction with all of the clubs within their golf bag. Some instruction for the short game - chipping, pitching and putting. The 'Par 3' Junior Package will introduce young golfers to the sport and will not only include instruction but also an introduction to the rules and etiquette of golf. This series of lessons offers an overview of golf for young players. Cost is $150.00 for the package of 3 lessons.